Write code, make IoT projects, and access cool tutorials! Do you have a cool project you'd like to have featured on our social media channels? Share a tutorial on the Arduino Project Hub! The ever-growing Arduino community is made up of everyone from hobbyists and students to designers and engineers all across the world. Have questions? The official multi-language Forum is the place to go. 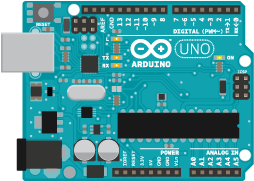 Check out the Playground for a collection of Arduino knowledge, tutorials, and tips provided by your fellow Arduino users.